Each Synfonia Floors wood plank has gone through careful inspection before leaving the factory. We advise our customers to validate their order prior to installation. Variation in wood grain and natural patterns are to be expected as well as degrees of visual characteristics that may not have been visible in the sample product. Samples exposed to ultra violet light may have changed subtly and products fresh out of the box could have slightly different color hue. Such variations are considered normal and excluded from this warranty. Synfonia Floors warrants that its engineered flooring will remain free from structural defects for 25 years for residential and 5 years for commercial usage when installed and maintained according to the recommended guidelines. We will repair or replace any flooring that is deemed to have structural defects depending on the availability of wood species and products. Synfonia Floors reserves the right to inspect defective material and recommend appropriate remediation. The warranty is subject to the limitations and exclusions set forth hereafter. The warranty applies to the original owner and is not transferable. Synfonia Floors does not offer any additional warranties expressed or implied, other than those set forth herein. Retailers, Distributors, Installers, Dealers and other third parties are not authorized to alter the scope and terms of this warranty. No remediation or replacement is warranted after installation. Installation is considered full acceptance of the purchased products. 1. Wood is a natural product and will vary in color and grain appearance from board to board. This is considered a natural aspect of the product and is excluded from the warranty. 2. When wood is exposed to UV rays from sunlight, florescent and incandescent bulbs the color will change. Window coverings, UV resistant tint, and solar screens can minimize the UV damage but will not completely eliminate this natural/normal occurrence. Gradual color changes are not covered on this warranty. 3. Boards deemed structurally defective are eligible for replacement or repair at Synfonia Floors discretion. However, material that is subjectively viewed as defective but meets Synfonia Floors and industry standards for grade will not be replaced and is not covered under this warranty. Installed products are excluded from the repair or replacement warranty. 4. Wood is naturally hydroscopic and will expand and contract as it gains and loses moisture. Some gaps between the boards during low humidity seasons are normal and is not considered a defect. Maintaining humidity levels will minimize such occurrences. These effects are excluded from the warranty. 5. Damage incurred by excessive moisture, sharp objects, sand gravel, high-heels or other abrasive material, loss of sheen, scratches, dents caused by unprotected chair/furniture legs and pet claw damage is excluded from this warranty. Use of hardwood flooring in laundry rooms and full bathrooms is not recommended. 6. There are different maintenance products for oil finished floors and they have to be maintained in accordance with the finishing type. The maintenance products are not compatible with one another. Use of improper or wrong maintenance product will void the warranty. 7. Damage arising from improper installation of the flooring is excluded from the warranty. Synfonia Floors recommends installation by a licensed flooring contractor. All installation steps must be followed in accordance with the Installation Guidelines provided. 8. Damage resulting from the use of any adhesive tape on Synfonia oil finished floors is excluded from this warranty. Failure to comply may result in removal of the finish on these products. Professional assistance may be required at owner’s expense. 9. Indentations, scratches or other damage caused by negligence, intentional acts, water, sand, abuse or other misuse of the flooring is excluded from this warranty. 10. Warranty does not cover subfloor moister and environmentally induced issues such as mildew, discoloration, or cupping caused by excessive humidity and other unfavorable environmental conditions. This program is limited to residential use and does not apply to industrial or commercial use. Wet mopping and unauthorized maintenance products will void the warranty. Misuse, improper installation, moister, pluming leaks, floods, insect infestation or situations beyond our control is not covered under this warranty. Synfonia Floors will not be responsible for any special, incidental, or consequential damages including inconvenience or loss of time. In the event that warranty service is required please contact Synfonia Floors to arrange for inspection and evaluation. Synfonia Floors recommends flooring acclamation prior to installation. That is exposing the flooring boards to temperature, humidity and moisture content that will typically be experienced once the product is installed at the job site. Warranty coverage requires maintaining between 30% to 50% relative humidity at the job site, and maintaining the same levels before, during and after installation of the flooring products. Failure to comply with these requirements may result in irreversible structural damage and will void related warranties. Recommended relative humidity for wood flooring is 30-50 percent at temperature range of 55°- 85° Fahrenheit depending on the climate. No two wood planks are alike and color variation is part of natural characteristic of wood. Wood also changes color over time due to sunlight and oxidation process. Since wood is a creation of nature there is no set formula to keep the colors constant. Customers need to be aware of these behavioral changes and understand the behavioral changes of the wood species they choose prior to ordering. Certain wood products will become darker over time while some other may become lighter. These gradual color changes are expected and experienced in all natural wood species and are considered normal and are not covered under the warranty. Synfonia Floors warrants its engineered flooring to be free from manufacturing defects in milling and dimensions. We will repair or replace any flooring material that is deemed to have manufacturing structural defects. Synfonia Floors product quality and color variations or errors that do not exceed industry standard 5% are not considered defect and not covered by the warranty. Synfonia Floors does not warrant any product that has been removed and re-installed. 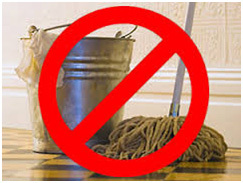 Please use dust mop or swifter product which does not contain any petroleum base solvent. Maintenance should include regular vacuuming with a canister vacuum which has soft brush attachments. 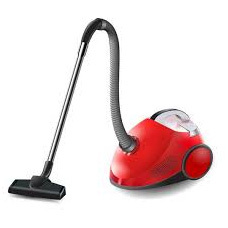 Brushes on the vacuum must be replaced on regular bases or be kept in the optimum conditions. Grit and dust left on the floor long-term can cause scratches on hardwood floors and should be cleaned and removed as often as possible. 1. It is important to apply a coat of Oil immediately after installation and before the furniture is placed on the floor. This is in addition to the oil coat applied at the factory. 2. Use a clean and dry cloth to wipe off spills immediately. You can follow up with a cloth soaked with Synfonia Floors Cleaning product to remove any remaining or excess residue. Synfonia Floors Rejuvenator product can also help remove dullness and bring back luster to your floors. 3. Always vacuum the floor prior to use of Synfonia Floors maintenance products. Follow instructions provided on the containers. Cleanup product should be applied to terry cloth cover of the cleaning applicator. Rub the applicator containing Cleanup solution along the length of the wood grain to remove surface dirt. 4. Periodic use of Rejuvenator product will keep your Synfonia Floors Oil finish looking like new. It is recommended to apply a full coat of Oil every few years. It is an easy process but time c-nsuming one. Allow between 8- 12 hours for the finish to completely dry out. Do not cover the newly applied French Oil with area rugs for a period of four weeks. While dry enough to walk on, Oil needs this time to fully cure. 5. Use only Synfonia Floors maintenance products. Many products available in the market may seem to be good, but will not be as effective. Synfonia Floors maintenance products are especially designed for our flooring products and are the most effective. Do not use any products designed for polyurethane finish, laminate floors or oil finished floors. Use of unauthorized maintenance products can damage the finish and will void the product warranty. Use of wet string mops and sponge mops should be avoided when caring for Synfonia Floors hardwood floors. Wood floors are susceptible to dents and scratches. Cloth glides must be applied to chair and furniture legs. High heel shoes or furniture rollers can damage hardwood floors. To minimize scuffing and scratching in high traffic areas some additional precautions should be taken. Often times area rugs are used to protect the floor while accenting the décor. Do not use rugs with rubber backs. Please use cloth back rugs or vinyl mesh holders which are designed to keep rugs from moving. Rubber is a material that does not breathe and can ruin the floor when in contact with for long periods of time. 1. The floor should be vacuumed and cleaned with Synfonia floor Cleaner product. All adhesive or residue marks should be removed by appling the Cleaner product. 2. All stove pilot lights and all sources of ignition in the room must be in the off position. Apply only in a well ventilated room. 3. If the floor is several years old do a spot test. Find a least traffic area that's not as visible and make sure no contaminants or solvents have been used on the floor before since solvants could affect penetration and adhesion of the oil. 4. Prevent shaking the oil container. This could cause adverse affect and will create bubbles. It is not recommended to apply the oil when bubbles are present. If this happens, ley it sit for a couple of hours until bubbles disappear. 5. Ideal temperature is between 55 to 85 degrees Farenheit. Ideal relative humidity is below 45-50 percent. 6. One Liter of Synfonia Floors Oil will cover about 350- 550 square feet. 7. Working with a white terry cloth towel, lightly apply oil to the floor surface. Do not pour the Oil directly from the cointainer onto the floor! A typical 3.5" x 3.5" cloth should be used. 8. Apply light thin film of oil to floor following the direction of the wood grain. Working end to end along the length of the board is recommended. Use long overlapping strokes to apply along the length of the board. 9. Rub the oil into the boards. Do not leave any puddles behind. Use a different cloth to remove puddles. Work in an area that you can complete in five minutes before moving on. If you stop for a reason, start 6” away from your finishing point and slowly work your way back in to avoid build up. 10. Start 6" away from obstructions and work back towards them to avoid getting oil on them. 11. It takes 4 weeks for the oil to cure, but oil will dry between 12-14 hours. It will not be ready for any traffic yet. Allow 24-36 hours for the floor to dry before any traffic or moving of furniture takes place. Do not place area rugs on newly oiled floor for 4 weeks. Anytime sooner than 4 weeks will increase the chance of discoloration. NO SMOKING or Flammable material close to the Oil. Simply keep them away! Spontaneous combustion is possible. Do not keep rags, pads, steel wool used with oil lying around without any supervision. When done all rags, steel wool, applicator pads, etc. must be mixed with water and stored in a fireproof container. Dispose of material in compliance with the local environmental and fire codes. Clean the floors thoroughly using step one. Allow floor to dry for 1 hour. Using a small amount of Rejuvenator, work it in with the applicator pad. Use a small surface scratch repair. Take small amount of Rejuvenator and gently scrub along the grain to remove small scratches. At Synfonia Floors we strive to produce the most reliable products.